Plan 1A - 2 bedrooms, 1 bath, 890 Square Feet with two car garage. Plan 2B - One level, 2 bedroom, 2 bath, 964 Square Feet with two car garage. Plan 3C - One level, 2 bedrooms, 2 baths, 1,133 Square Fee with attached two car garage. Plan 4D - Two level, 3 bedrooms, 2 baths, 1,450 Square Feet with attached two car garage. 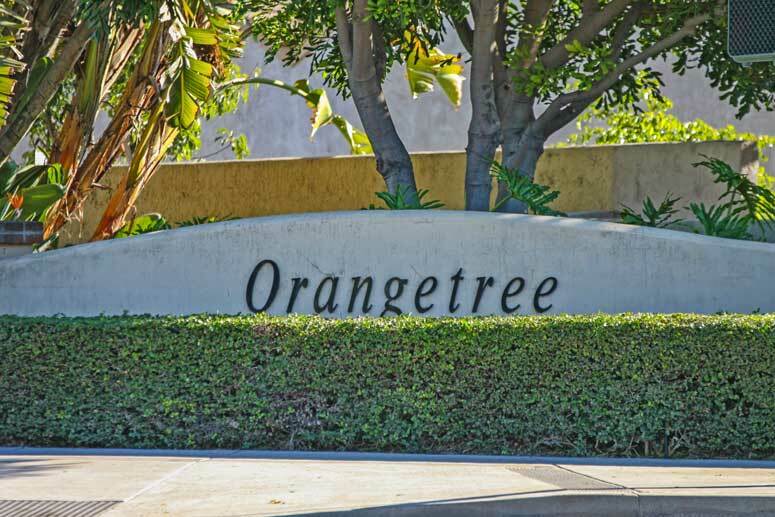 Orangetree Lake condos fall within the Irvine Unified School District. Elementary school is Los Naranj Elementary School, Menado Middle School and University High School. The Master Homeowner's association is Orangetree Master Homes Association managed by Seabreeze Management located at 39 Argonaut, Suite 100 ALso Viejo California 92656. They can be reached at 949-855-1800. The HOA due is approximately $19 per month. The Sub-association is Orangetree Patio Homes Association managed by Powerstone Property Management located on 16470 Bake Parkway Irvine, California 92618. They can be reached at 949-716-3998. HOA dues is approximately $127 per month depending on condo size. So if looking to buy or lease in Patio Homes in Orangetree then, please, have a look around, and contact us with any questions you might have about the market or our services. No question is too mundane - we want to help!